What Can Debt Collectors Tell Consumers About The Statute Of Limitations On The Debt Owed? 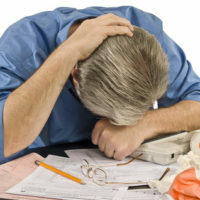 Consumers who owe debts to creditors often have to deal with debt collectors, some of whom may make the debt collection process quite unpleasant. However, even when a debt collector is not being abusive, or harassing the consumer, the debt collector may not always be giving the consumer the information the consumer is entitled to receive under the law. In particular, the debt collector may not always give a consumer correct information regarding the statute of limitations on a debt. When the statute of limitations has run on a debt, it means that the creditor cannot sue the consumer in court to recover the cost of the debt. So if the debt collector calls a consumer after the statute of limitation has run on a debt, the debt collector is not required to volunteer information to the consumer regarding the statute of limitations. However, depending on the questions a consumer asks a debt collector, the consumer can discover whether the time has run out on the creditor’s ability to sue the consumer to recover the debt. If a consumer asks a debt collector directly if the statute of limitations has run, and the debt collector answers the question, then the debt collector is required to tell the truth. However, the debt collector can simply choose not to answer the question at all. A consumer who wants to make sure that he is receiving accurate information on the debt can ask for information on when the last payment was made on the debt, and do the necessary calculations. Consumers have a right to receive documentation on the debt owed from the debt collector or creditor. If the consumer makes a demand in writing asking the debt collector for a verification of the debt, the debt collector has a limited time within which to respond with the requested information. This information should include the date of the last payment on the debt. This is key in determining when the statute of limitations began to run. Consumers should always remember that the benefit offered by the statutes of limitations can be lost if the consumer makes payments towards the debt. Therefore, before resuming payments on an old debt, the consumer should always make sure the debt is not too old. In addition, just because the statute of limitations has run does not mean debt collectors will not continue to use the threat of a lawsuit to force payment on a debt. Therefore, consumers should not always believe the information provided by a debt collector without independently verifying the information. If you are a consumer and are being harassed by debt collectors over debts you are not even sure you owe, you may have a claim against the debt collector. Alternatively, even if you owe the debt, you may have a valid defense against the debt, for example because the creditor seeking payment on the debt cannot show it owns the debt. To find out how you can fight back against harassing debt collectors, contact Louis S. Schwartz and his team at ConsumerLaw Pa.com.